The Aeronautical Engineers Co-Operative Society created AECS Layout which lies in the west of Bengaluru. This layout has been approved by the Bangalore Development Authority (BDA) for its growth. The affordable prices for property in this area doesnt only welcome the migrants from other regions but also attracts the developers, builders, investors, and retailers. This area has good connectivity to major IT hubs such as I.T.P.L. and Whitefield. You can also find renowned schools, colleges, hospitals, eateries, and recreational places in AECS Layout. Besides, Phoenix Market City, one of the largest malls in Bengaluru is in the vicinity of this area. All this improvement made this area highly populated. But do not worry, if you are planning to learn car driving in this area. SharpDrives is here to help you in this aspect. We have a team of skilled instructors who will guide you in every phase of the course to make you a perfect driver. Our training includes car driving sessions in the traffic-jammed areas as well. Do You Own A Car in AECS Layout? We Make Car Driving Easy! SharpDrives helps you learn car driving in AECS Layout with ease. Our only focus is to make you an expert driver and see you drive stress free on the busy streets of Bengaluru. We have a team of experts who provide all the essential training within your course period. You might have struggled to drive on the traffic-filled streets of AECS Layout before but it will not be the case now! It is a promise from SharpDrives that you can drive confidently with a smile on your face by the end of your course. Book your session today to know the difference yourself. We offer car driving lessons in your own car at your own comfort. Hence you will be driving with perfection even after your course. Also, our team will guide you to drive in the challenging areas of the city. 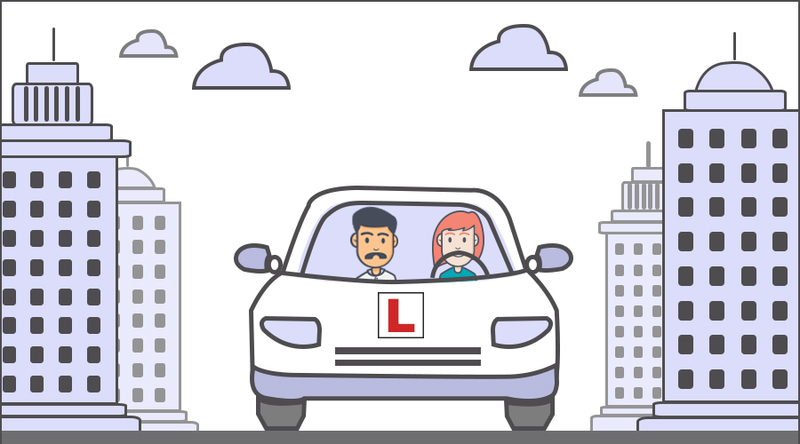 These lessons will help you drive safely in and around AECS Layout like a professional and confident driver. Our courses come with an affordable price range that makes your every penny count. In case you have a shortage of time, you can opt for crash courses that cover all the necessary parts of car driving in a very less time. Hence you can save both your time and money by learning from Sharp Drives. Be it a beginner or a person who wants to level-up your driving skills in the traffic-filled areas of AECS Layout; our instructors will offer the necessary training to help you become the best driver. What is The Best Time to Learn Car Driving in AECS Layout? It is no wonder how crowded the streets of AECS Layout will be almost every day. Weekends will also be the same because of large number of shopping malls and restaurants in this area. Especially, in the morning and late in the evening, you can only hear the noises of buses, car, and bikes on the roads. So, we recommend early morning sessions from 6 a.m. to 9 a.m. to learn car driving in AECS Layout. The quiet street is most-suitable to learn car driving than any other part of the day. Our classes will also be open on weekends making us available to you round the clock. Hence you can opt for weekend courses if you are an office going person. If you are picking the weekend, the best time will be between 7 a.m. and 11 a.m. Besides, you can also modify the session timings based on your convenience. We will always stick to your schedule. Do not be scared to drive your car in the traffic-filled streets of AECS Layout, Bengaluru. We make you a responsible and confident driver within a few sessions. Trust us! SharpDrives will be with you in your every step.